Location was great. Walking distance to the beach. Overall friendly staff. Working air conditioning. Can’t complain for the price. 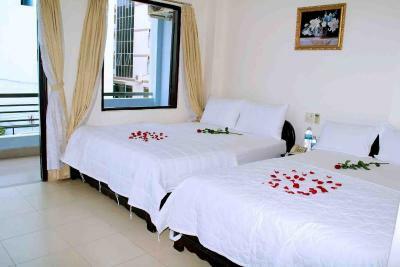 The location is really good, close to the beach, Restaurants and shops. Secure motorbike parking. The staff, amazing friendly people, on my first day they told me they had upgraded my room, at no extra cost, I was paying £5 a night! 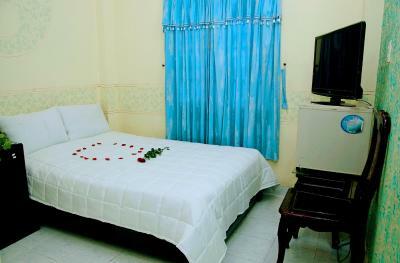 The staff were great, extremely helpful and friendly, I cant believe I got such value for money for £5 a night! The ac was great (I left it on and got maybe even too cold) and the wifi was brilliant, 5mbs per second download. Location was good. In a good area but also quiet at night time. Friendly staff. Good WiFi. Room was clean and had a fridge and a fan. Location and staff are good. Cheap hotel near the beach would be good if not for the bugs. 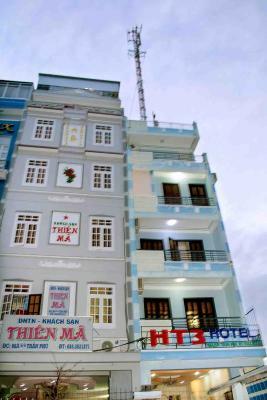 Thien Ma Hotel is located across the road from Nha Trang public beach, just 50 feet away. 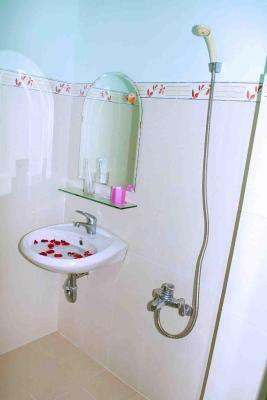 Just a 5-minute walk from sailing clubs, it also offers free Wi-Fi access and private parking. The hotel is 1.6 mi from Nha Trang Train Station and 22 mi from Cam Ranh Airport. 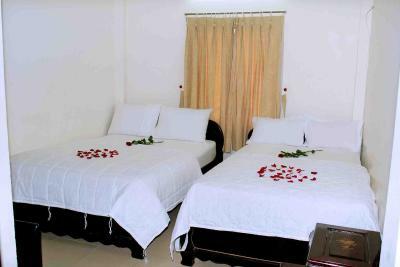 Fitted with tiled flooring, the air-conditioned rooms feature a flat-screen TV with cable channels, a wardrobe and a mini-bar. 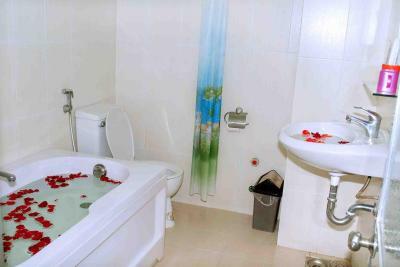 The private bathroom comes with hot shower facilities. Food stalls, restaurants and cafés serving local and international delights can be found just steps away. Travel arrangements can be made at the tour desk. 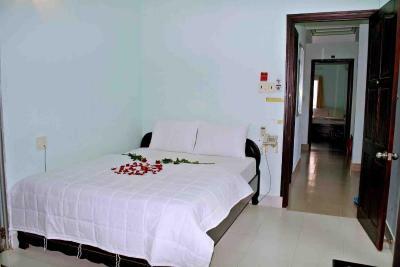 Staff at the 24-hour reception can assist with luggage storage, laundry and bicycle rental services. 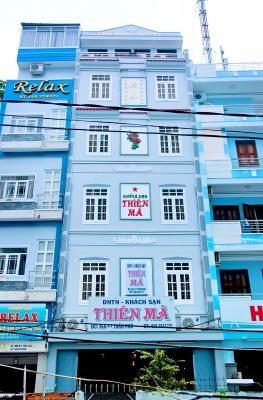 When would you like to stay at Thien Ma Hotel? Rooms come with a queen-size bed to accommodate 2 guests. 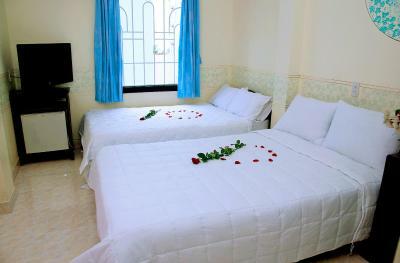 Public parking is available on site (reservation is not needed) and costs VND 46609.31 per day. 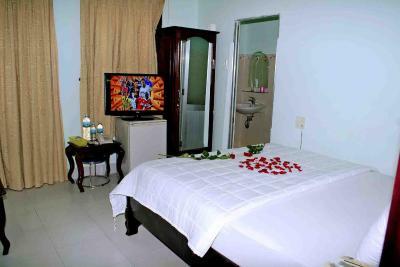 Rooms come with a queen-size bed and a single bed to accommodate 3 guests. 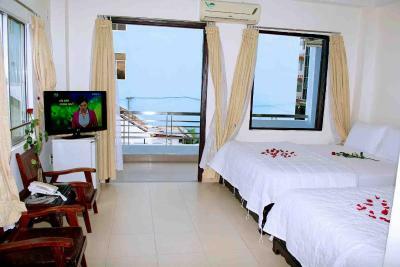 These sea view rooms come with 2 queen-size beds to accommodate 4 guests. 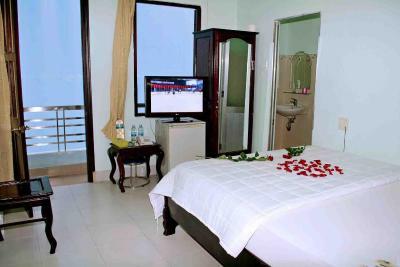 These city view rooms come with 3 double beds to accommodate 6 guests. 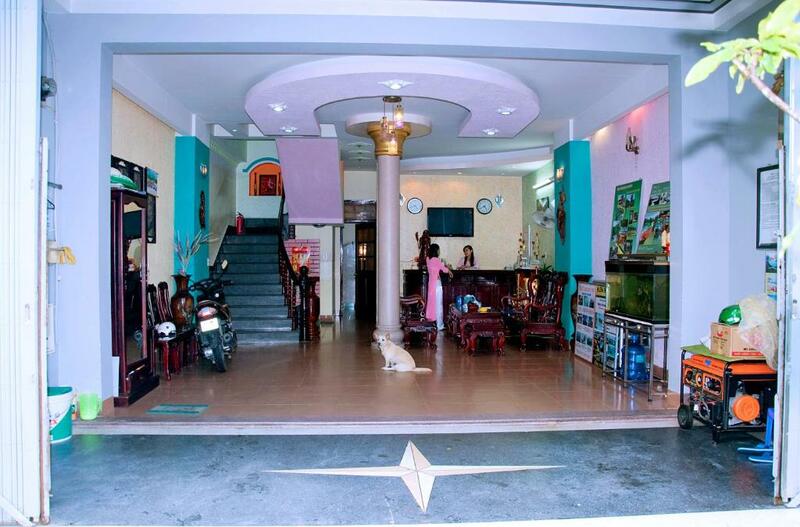 House Rules Thien Ma Hotel takes special requests – add in the next step! 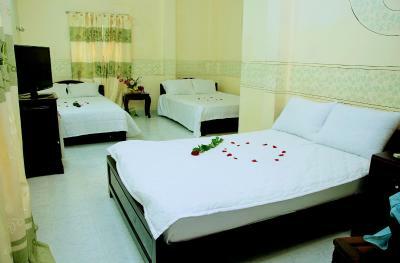 Thien Ma Hotel accepts these cards and reserves the right to temporarily hold an amount prior to arrival. Service was great, all the staff were helpful and kind. 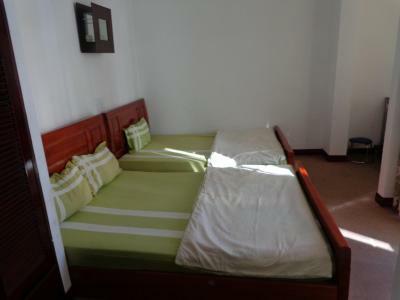 It's really close to the beach and is fairly central so getting about is easy. Bedrooms were not good, there were ants everywhere...they got inside my macbook which has now fried my motherboard and completely broken my laptop. 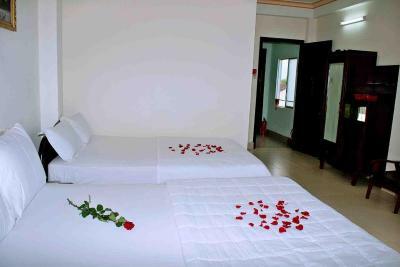 Air con virtually non existent, you could do a better job fanning yourself with a newspaper, beds small and really uncomfortable and finally the the room smelled damp. 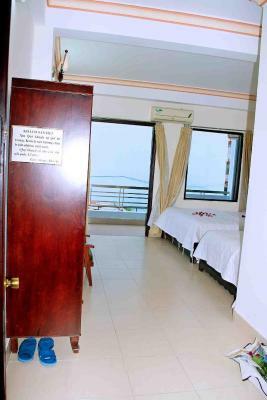 someone could easily attempt to justify this by bringing up the price of the room, but in reality you could find somewhere else for the same price which is ten times better. staff were lovely. close to beach. Dirty towels and blanket, bugs in the room. N/a I enjoyed my stay here. Air con made a very annoying sound most the time. 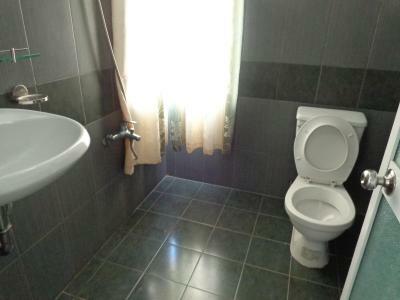 The toilet kept randomly splashing up water which was quite worrying. There was loud drilling in the hotel from about 10am’ish onwards. Smell of mold in the air. My eyes would burn and a got a little bit of a sore throat. I had to sleep under a window. Sometimes hot water. Internet reception poor in the far side of my room for 1 day. Worked perfectly fine the rest of the time. Location of accommodation is perfect. 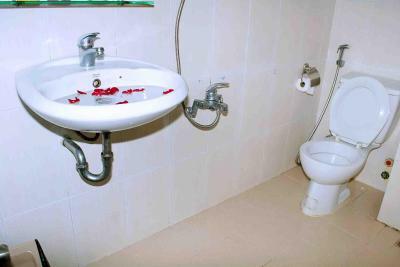 Room is clean and has own bathroom. The A/C is fanlike, there was no cool air, so the room was only ventilated by the fan. The old mattress had a broken spring that could stab and leave you with a puncture. 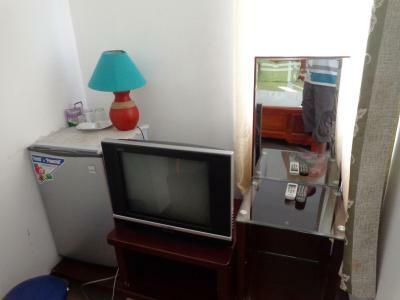 The TV doesn't work at all. 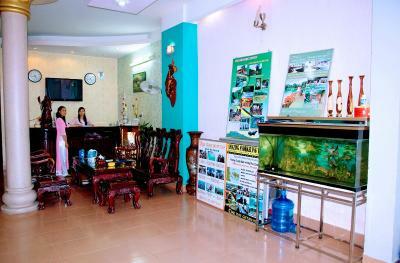 It's located nearby the main beach with its park. Tge beds are so old, need change it. Don't have elevator. Very very old the room, not confortable. Not recomendable this Hotel. The location is not bad.